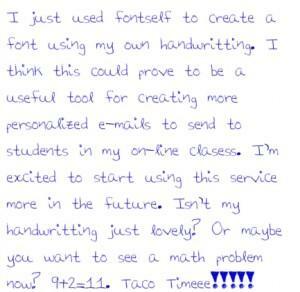 Personalize your messages with original hand-drawn fonts. Send yours now! This entry was posted in Uncategorized and tagged Fontself, Online, Personalization on May 14, 2011 by Jon Oaks.